Last ANZAC DAY I posted this haunting poem written by KRYSTI NEALE of Kapooka, New South Wales, Australia (born and raised in Semaphore, South Australia)… Since then I have constantly wondered how life is now for her, her husband and family and continue to send much love and healing energy their way. I’ll be co-commentator for the BC TV Anzac Day coverage again on Thursday morning. Every year we see fewer and fewer veterans. First the World War I Diggers thinned to just a lone marcher. Then there were none. The World War II ranks have been decimated too as they get their final marching orders. 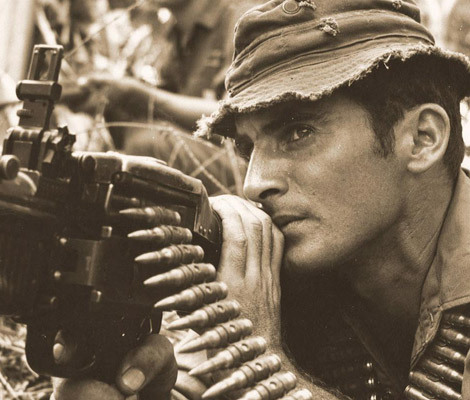 The bulk of the ex combatants this year will be from Vietnam and now they’re falling away as age wearies them. It makes you wonder about the veterans from Iraq and Afghanistan. I met a mother the other day whose son is a vet from the war on terror. He is now fighting his own war on terror. He is one of those from the bloody-roadside bomb-ridden conflicts who won’t march, not because of physical wounds, but because of psychological wounds. Last Remembrance Day Major-General John Cantwell was in Adelaide to raise aware- ness of vets like that mother’s son who were suffering privately. He had just published his biography Exit Wounds. He’d enlisted as a private, gone up through the ranks, been on the front line in Iraq in 1991 and by 2006 had risen to be commander of the Australian forces in Afghanistan, but within a few years his world caved in. Seeing enemy soldiers buried alive and a car bomb blow up a Baghdad marketplace crowded with women and children left haunting memories. His mind was filling with horror. And it kept filling. Ten of his soldiers were killed in 2010 in Afghanistan. He came home and was about to be promoted to the pinnacle of his military career when he ended up in a psychiatric hospital. We’d heard about the war trauma before but from not such a high-ranking-soldier. Perhaps the most famous incident of a high-ranking officer confronting post-traumatic stress was 70 years ago when US General Patton had a brain snap in a military hospital. He wasn’t a patient but he showed the symptoms. He came across two of his fellow soldiers suffering from battle fatigue. He slapped them across the face, and verbally abused them. He kicked one of them and pulled out a pistol on the other and threatened to shoot him on the spot. He is reported to have said, “I won’t have those cowardly bastards hanging around our hospitals. We’ll probably have to shoot them some time anyway, or we’ll raise a breed of morons”. Post-traumatic stress disorder was diagnosed as shell shock and war neurosis in World War I. It became battle fatigue in World War II. In 1943 at the very time General Patton ws thinking about how many “yellow bastards” should be shot, the US military was frantically making secret training films to show their medical officers just how serious and real the issue was becoming. In one, now declassified, film they talk about the campaigns that Patton headed in North Africa and Italy where they were seeing up to 50 per cent of soldiers with some form of “battle fatigue”. Patton led an army that fought for 281 days straight from the landing in Normandy to the fall of Berlin. It ended up killing, wounding or capturing around one and a half million enemy. For its part, it sustained 140,000 casualties. The long term toll of PTSD is still debatable, but it is now recognised that up to a third of those in sustained fighting end up with some sort of psychological wound. It prompted the US military by the end of the war to come up with the slogan: “Every man has his breaking point”. General Patton’s was when he broke his neck in a car accident on the way to a pheasant shoot near Speyer in Germany just before Christmas 1945. One of his last comments was: “This is a hell of a way to die.” He was buried in a war grave in Luxembourg alongside his men. This Anzac Day spare a thought, lest we forget, for those who won’t march because they have PTSD, and that’s a hell of a way to live. We are told that: “As a country boy from Queensland, John Cantwell signed up to the army as a private and rose to the rank of major general. He was on the front line in 1991 as Coalition forces fitted bulldozer blades to tanks and buried alive Iraqi troops in their trenches. He fought in Baghdad in 2006 and saw what a car bomb does to a marketplace crowded with women and children. 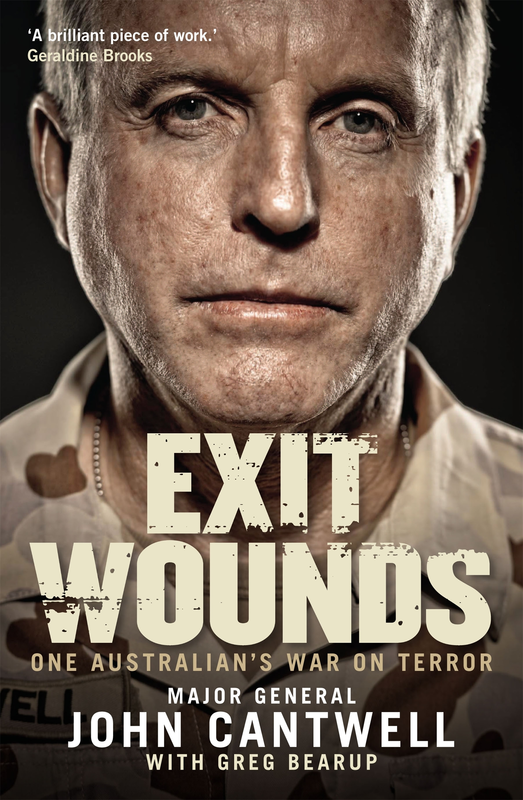 In 2010 he commanded the Australian forces in Afghanistan when ten of his soldiers were killed. He returned to Australia in 2011 to be considered for the job of chief of the Australian Army. Instead, he ended up in a psychiatric hospital. To read my previous posts re: ANZAC Day and our Diggers… please just click on HOME, in the Menu bar above, and then select “Military” in the Category “side bar”… Cheers, Catherine. 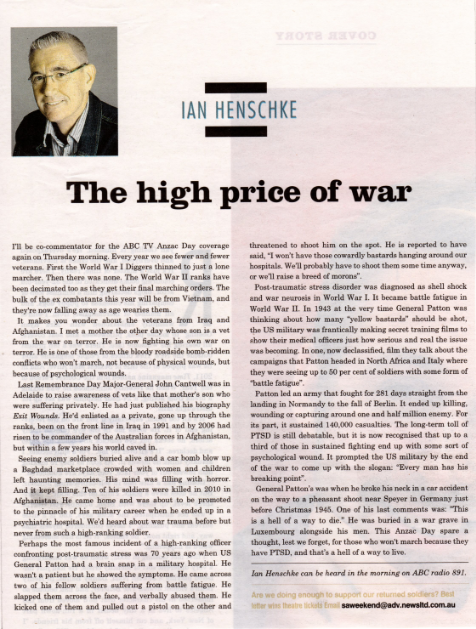 Thanks also to “The (Adelaide) Advertiser“, for Ian Henschke’s article – “The high price of war” published in SAWeekend 20-21 April 2013. This entry was posted in Books, Cultural Identity, Military and tagged ANZAC, Australian History, Australian Military History, Military History by Catherine. Bookmark the permalink. I love this poem for all is says about the hidden wounds which we’re only now slowly coming to appreciate. One can’t help but wonder what damage it did at home to families, and then to society, a legacy which likely lives on today. A quote I like is “even bands of steel have a breaking point” …how much more so the human psyche. Peter’s great uncle WEH Cass who I wrote about last year essentially had a breakdown after losing so many men at Fromelles. That he didn’t also lose his position, was repatriated, and went on to become a Brigadier General shows he must have been well respected. At least the Aussies didn’t shoot their traumatised soldiers. Thanks for a great post. Thanks Pauleen…Oh yes, it is a heartfel poem that certainly tugs at the old heart strings, eh? I reckon it’s especially poignant coming from an Army wife whose clearly experiencing this with her own loved one.